What outdoor play activities would you recommend in the springtime? Springtime is ideal for outdoor play. After a cold, gray winter, the blue skies, new leaves, and warm breezes beckon everyone to come out and play for a while. In the excitement of a new season of growth, here are some activities to make the most of all that spring has to offer. Puddle play – splashing, floating, seeking for creatures, comparing reflections. 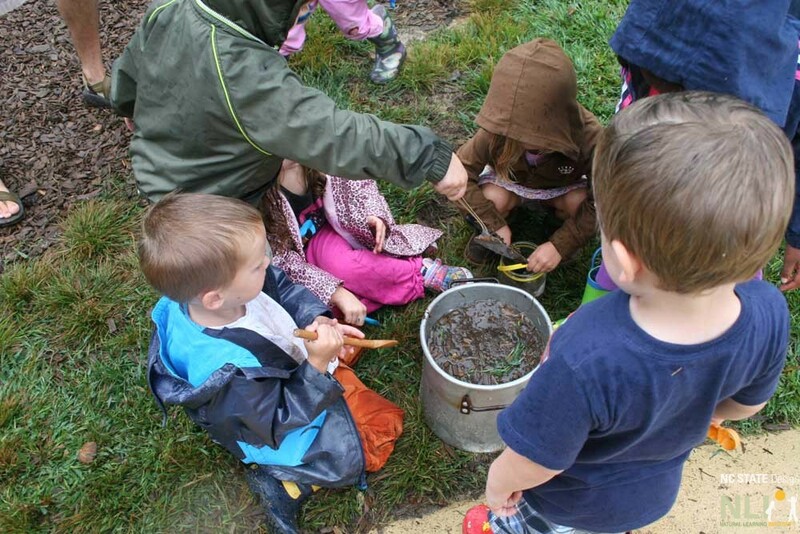 Mud play – make the most of the wet mud while it’s there! It helps to have a backup set of clothes to get muddy in, and then just hose off at the end. Rain walks – waterproof gear and boots, or some umbrellas keep everyone (mostly) dry while exploring. Create watercolor paintings with the rain – experiment with putting papers out in the rain for a minute and then painting on them, or put them out after painting and see what textures the rain adds. Create garden collage artwork of pictures of plants that will grow in the spring and summer (with cutouts from plant catalogs and gardening magazines). Measure leaf growth, record when the buds open and compare different plants’ growth. 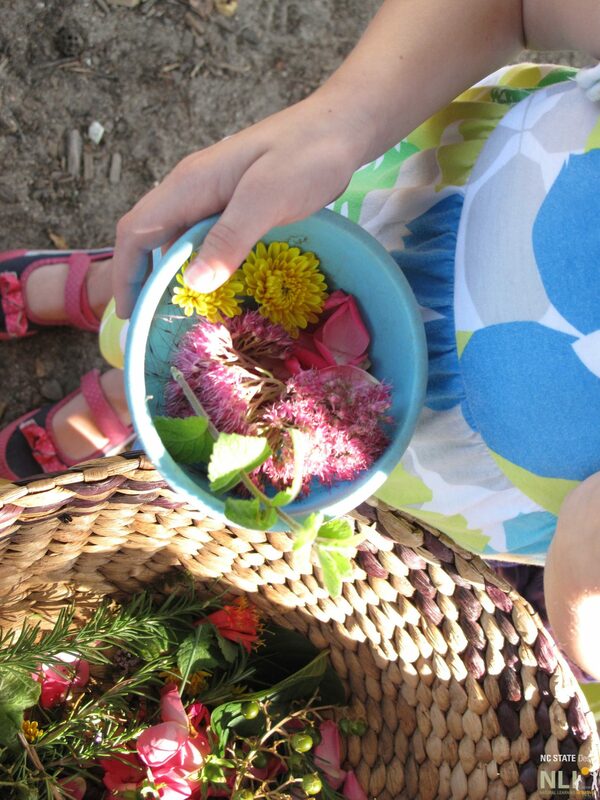 Pick flowers to bring inside the classroom. Observe bugs and other creepy-crawlies. Watch for birds and learn about what kinds migrate through your region in the spring. Learn about baby animals (who are frequently born in the spring), with visiting bunnies, baby chicks, or ducklings. Take photographs – let the children take photos of their observations of spring with disposable cameras or kid-friendly digital cameras. Have a picnic day where all the day’s normal indoor activities happen outdoors. The changing seasons bring changing weather patterns and often, breezy spring days. Weather forecasts usually include a prediction for winds, which can be helpful when planning some of these activities. 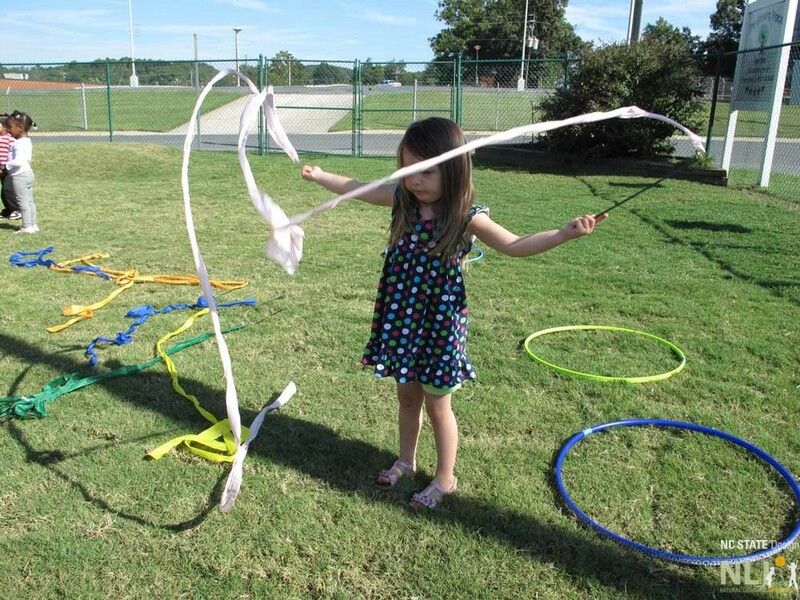 Play with the wind – bring fabric, ribbons, and wind catchers to play with outdoors. Make and fly kites – kites fly best with wind speeds between 5 and 15 mph. Measure wind direction and speed with the “wet” finger technique. Read some windy day stories outdoors. Make and install wind chimes and windsocks. Spring is high season for gardening as the soil warms up and the days grow longer. 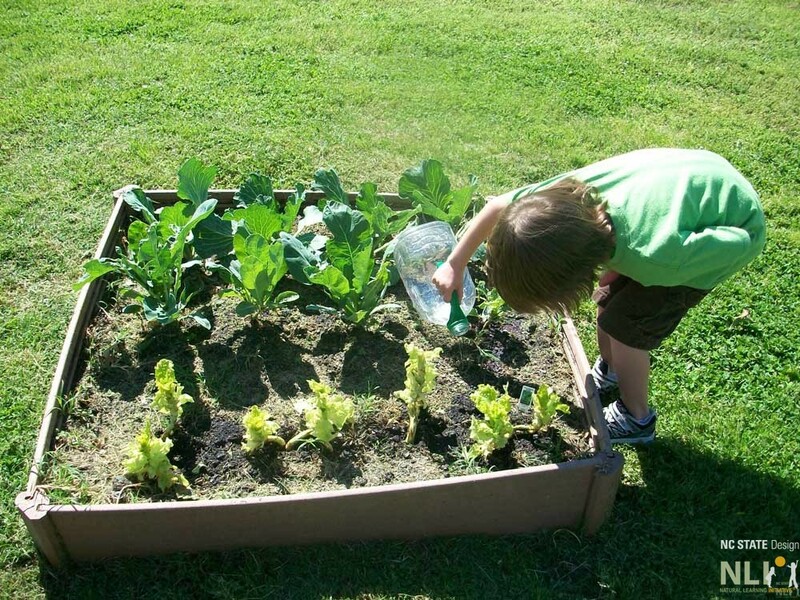 Here are some ideas to get your imagination started on the many possibilities for spring gardening with children. These activities can happen in almost any weather – weeding a garden bed can be a lot easier right after a rain, for instance. For more thorough information and guides, the NLI Green Desk has multiple posts on children’s gardening, here. Prepare the garden for the season’s plantings, see the Early Spring in the Garden post for more.